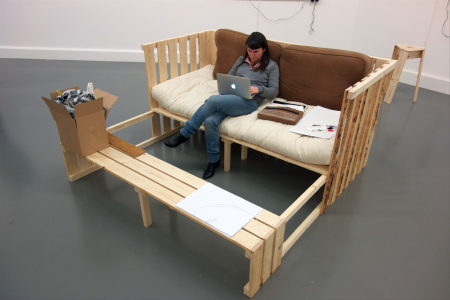 Arte Útil roughly translates into English as 'useful art' but it goes further suggesting art as a tool or device. 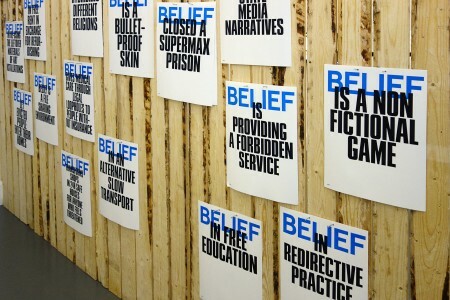 For the past ten years the artist Tania Bruguera has been teaching and researching Arte Útil through an academy in Havana; the Arte Útil lab at Queens Museum, residencies at Immigrant Movement International, New York and most recently the Museum of Arte Útil, in the Old Building of the Van Abbemuseum, Eindhoven. Whether through self-organised groups, individual initiatives or the rise of user generated content people are developing new methods and social formations to deal with issues that were once the domain of the state. Arte Útil case studies show how these initiatives are not isolated incidents, but part of a global movement shaping our contemporary world. 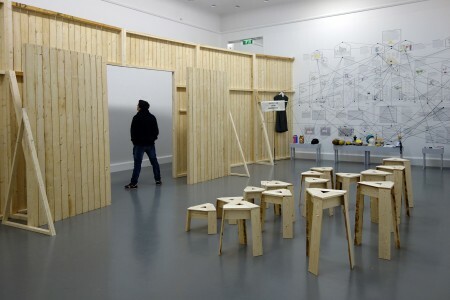 The notion of what constitutes Arte Útil has been arrived at via a set of criteria that was formulated by Tania Bruguera and curators at the Queens Museum, New York, Van Abbemuseum, Eindhoven and Grizedale Arts, Coniston. The old building of the Van Abbemuseum reopens as the Museum of Arte Útil, a place where art's use value and social function is put to the test. The Museum of Arte Útil presents an archive of over two hundred case studies that imagine, create and implement beneficial outcomes by producing tactics that change how we act in society. The case studies are presented through the lens of seven strategies: Use it Yourself, Institutional Repurpose, A-Legal, Space Hijack, Open Access, Legislative Change and Reforming Capital. 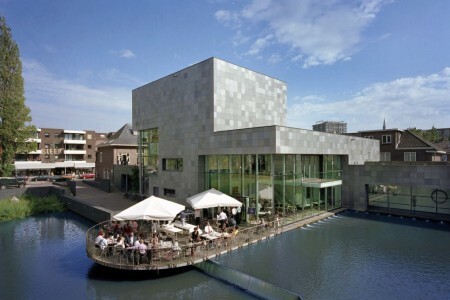 Within the museum a number of artists will work in the museum and the city over a sustained period of time, whilst many of the live projects relate directly to Eindhoven, through partnerships with local organisations. How can we 'use' the museum? 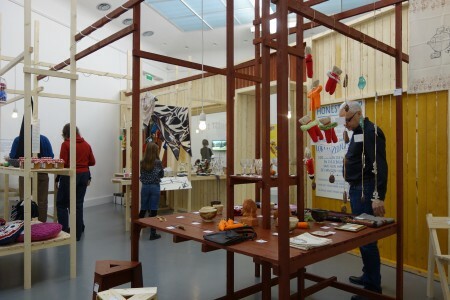 How can it become a civic institution for production and output? Through this project, the ambition is to transform the museum into a Social Power Plant, where spectators become users and collective, transformative energy can be generated for use in the world outside. The case studies from the archive provide the fuel for the Social Power Plant, the presentations are a toolkit for users to re-purpose tactics and methodologies to their own ends. Strategy: The museum is here to be used. The case studies, workshops and activities presented are a way of taking matters into your own hands by finding new methodologies and strategies of operating in the world. 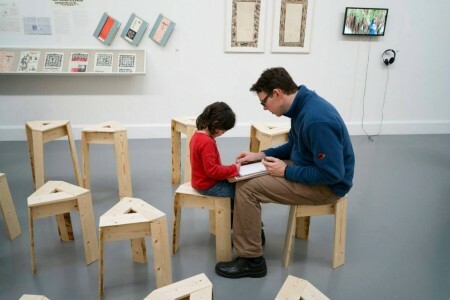 What to use and how to use it: Let your children play, make copies of Loompanics publications, make a proposal for using the wood, take part in the public programme by visiting the online calendar. For bookings and information email agenda@museumarteutil.net or ask at the info desk. Strategy: Institutional structures can be re-thought and transformed by using their resources, position and power to tackle urgent issues. 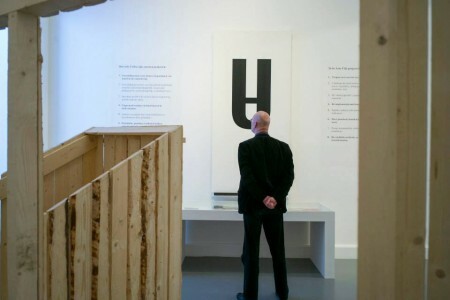 If museums are forced to bend to a new culture of usership what could they be used for? What to use and how to use it: The Light Therapy Room is open for classes, meetings, workshops or individual use. For bookings and information email agenda@museumarteutil.net or ask at the info desk. 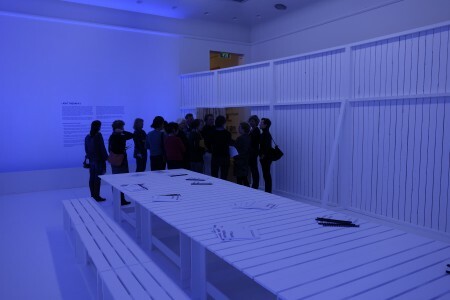 The first of the three analysis rooms gives insight into the evolution, ideology and legitimation of Arte Útil. How can we define ArteÚtil, why has it been legitimated in the museum and what does it mean to believer in art as potential to create social change? Strategy: A-legal is a term that refers to behaviour and actions that do not adhere to the letter of the law meaning rules are bent or side stepped to achieve a desired outcome. A common strategy within Arte Útil case studies is working a-legally as this allows for opportunities or results where the law has failed its citizens. Initiators: Sean Dockray, Núria Güell, Rebecca Gomperts, IRWIN, Ruben Santiago and WochenKlausur. 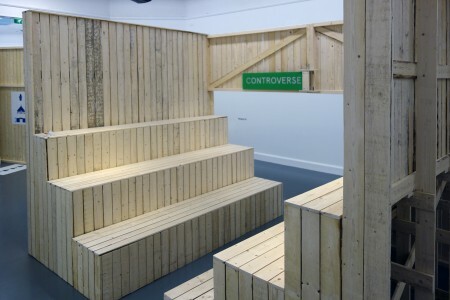 The Room of Controversies, the second of the analysis rooms, aims to tackle some of the central questions and problems raised by the term, connotations and practice of Arte Útil. The program for the Room of Controversies will be structured around four public sessions: Arte Útil, Gentrification and Misuse, Arte Útil, Activism and Sincerity, Arte Útil, Social Design and Instrumentalisation and Arte Útil, 2.0 Culture and Disobedience. 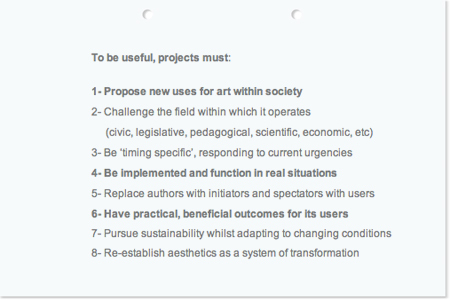 Not all of these projects are in the Arte Útil archive but are either prototypes, proposals or simply potential projects to be debated against its criteria. Initiators: Azra Aksamija, Electronic Disturbance Theatre 2.0, Jalila Essaïdi, IRWIN, the Dorchester Project and Institute of Human Activities. What to use and how to use it: Controversial case studies can be bought into the room from the archive. Users should suggest their own discussions, doubts and questions for this room. 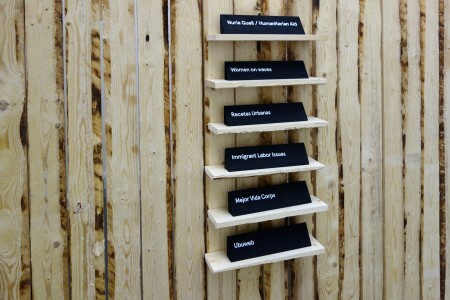 For details on the public program in the room of controversies visit museumarteutil.net. 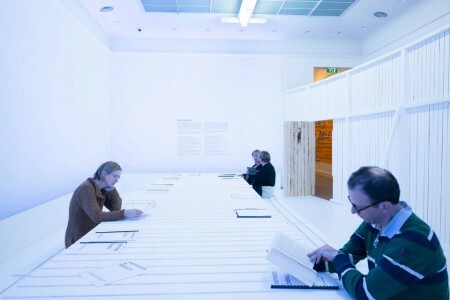 This is the central room of the Museum of Arte Útil, housing physical copies of the case studies. 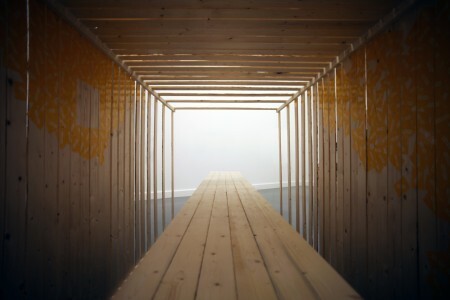 The Arte Útil archive is open and unfinished. The case studies here have been compiled over the past two years through Arte Útil researchers, an Open Call and a group of international correspondents. 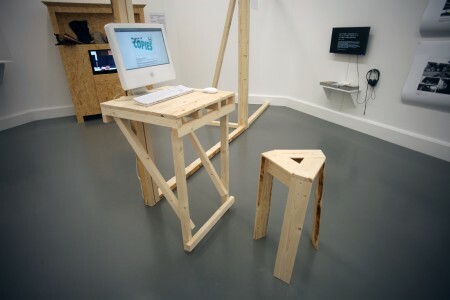 What to use and how to use it : Users are invited to take placards, speak to the researchers or use the computer stations to propose new Arte Útil case studies. 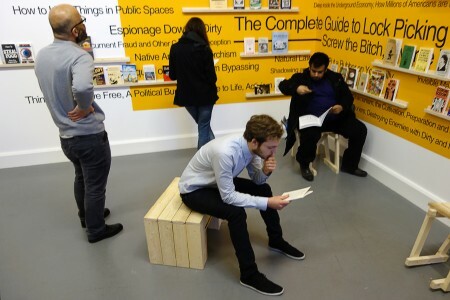 Strategy: Space Hijack is a strategy to reclaim, take over, occupy and use public space as it becomes steadily more reduced, controlled and privatised. Initiators: Lara Almarcegui, NSW Builders Labourers Federation and Victoria Street Resident Action Group, Liz Christy, Santiago Cirugeda, Núria Güell, Memetro, Bonnie Ora Sherk and WochenKlausur. 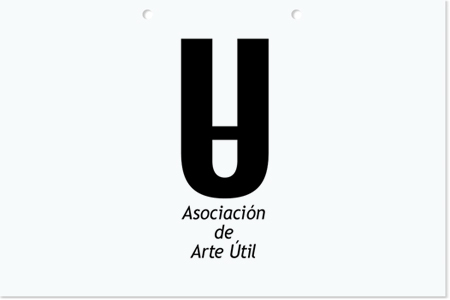 What to use and How to Use it: During the course of the Museum of Arte Útil several artists will be occupying the space as a working atelier. These artists will be developing initiatives in the city. 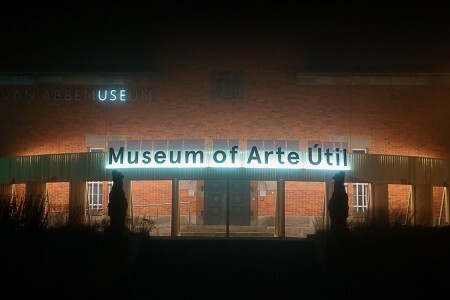 Visit museumarteutil.net. and check the agenda for details. Strategy: Open Access is a mode of operating where availability to information, material or knowledge is exercised egalitarianism. The strategy spans different educational platforms, and media based tactics. Initiators: Joseph Beuys, Missdata, Daniel Godi­nez Nivon, Critical Art Ensemble, John Ruskin and Yao Jui-Chung + Lost Society Document. What to use and how to use it: Take a Tequoigrafia, use Shmoogle or print scanned material from other rooms. Strategy: Legislative Change shows arts ability to enforce or mobilise concrete policy and legal resolutions for the area in which it is campaigning. In many respects this is where case studies reveal most explicitly art's potential for operating in the real, by being the means with which legal change is brought about. 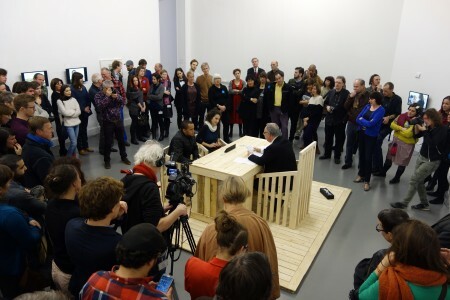 In Legislative Change art practice, politics and activism work together. Initiators: Augusto Boal, Jeanne van Heeswijk, Djambawa Marawili Artists from the Yirrkala region, Provo and Laurie Jo Reynolds. 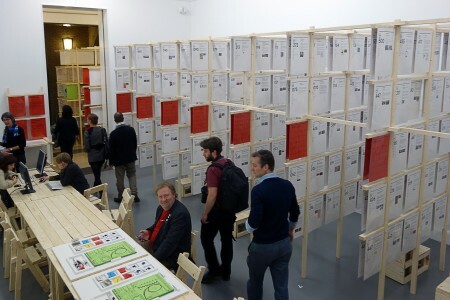 Strategy: These case studies propose different ways in which we might engage with production, economic exchange and debt. 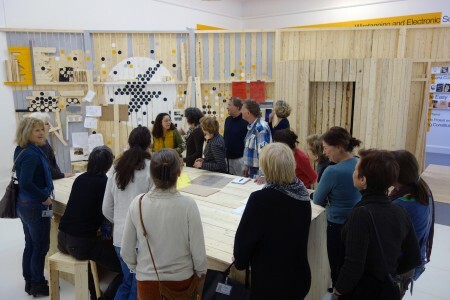 Initiators: Claudia FernÃ¡ndez, Carla Fernandez, Nuria Guell, Grizedale Arts, Rolling Jubilee, Jeannette Petrik, WochenKlausur and Pivot Creative.